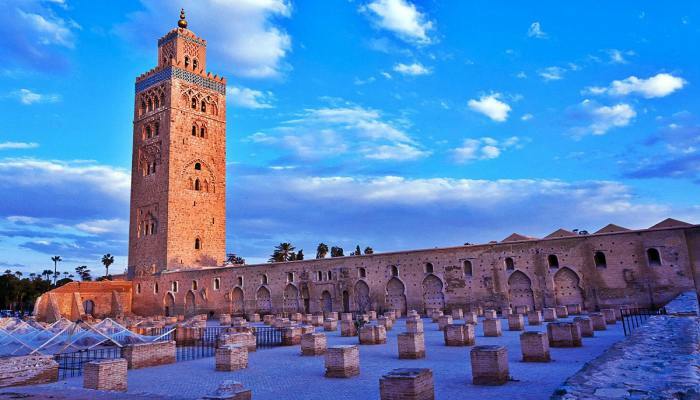 Travelers who want to experience the beauty of the Sahara Desert should look no further than Merzouga, Morocco. 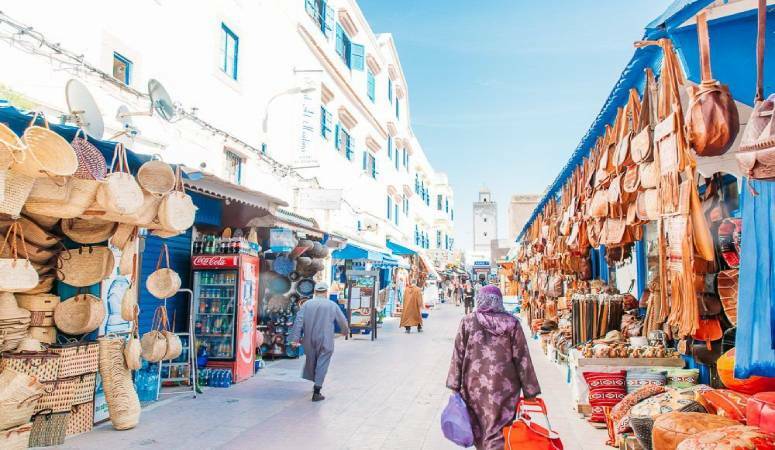 This top desert destination offers visitors a once in a lifetime experience in this magical landscape of impressive dunes of constantly changing color, transformed in the sunlight from hues of coral to gold and fiery red. 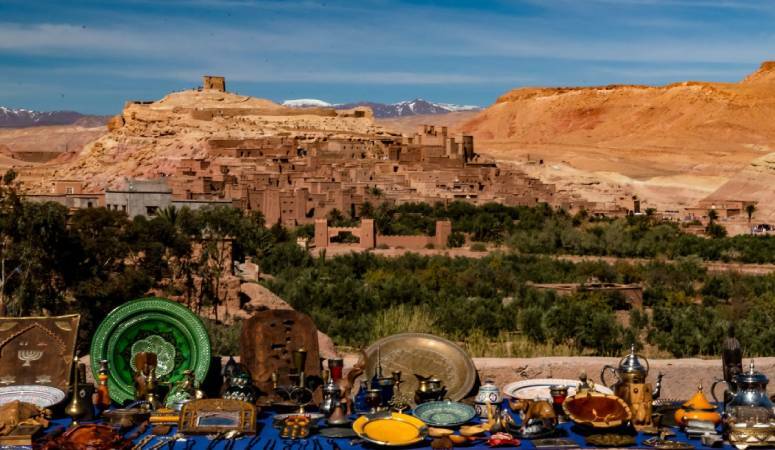 Merzouga is the gateway to this spectacular oasis, where visitors can ride camels through the dunes and taste Berber food while spending peaceful nights in tents and gazing at the star-filled sky. 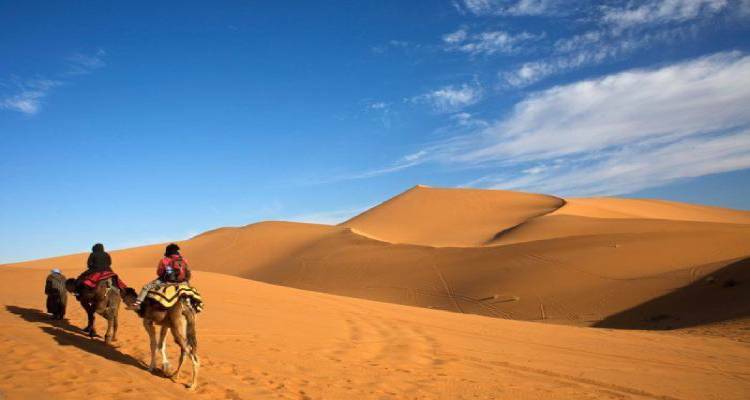 Trips can be taken from two hours to several days or even weeks, giving travelers an opportunity to experience the Sahara Desert in a unique and fascinating way that will be remembered for a lifetime. Jeep tours: If riding atop a camel doesn’t sound like it’s for you, excursions by jeep are also available, allowing you to experience many of the historical sites and attractions with guides who are knowledgeable and take the time to help you get to know the local culture and amazing people who live here. Quad-biking is another fun and exciting way to explore this incredible landscape, with options for three-hour to several day trips that include accommodations and cuisine. 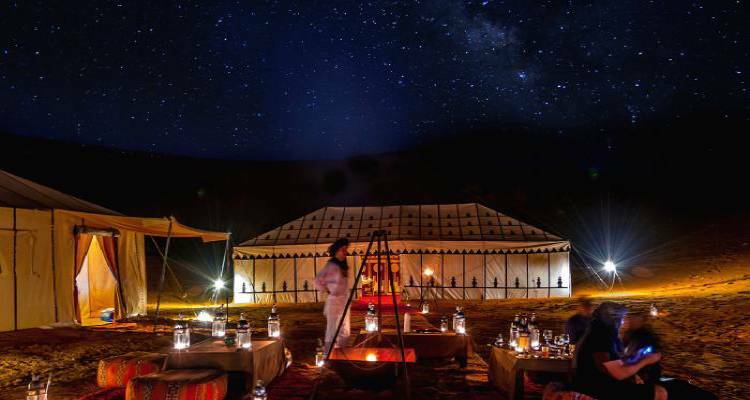 Soaring above the desert in a hot-air balloon provides an amazing adventure above the dune, where you’ll soar with the birds and culminate your journey with an authentic Moroccan mint tea. Sand-skiing or sand boarding is an excellent option for thrill seekers. 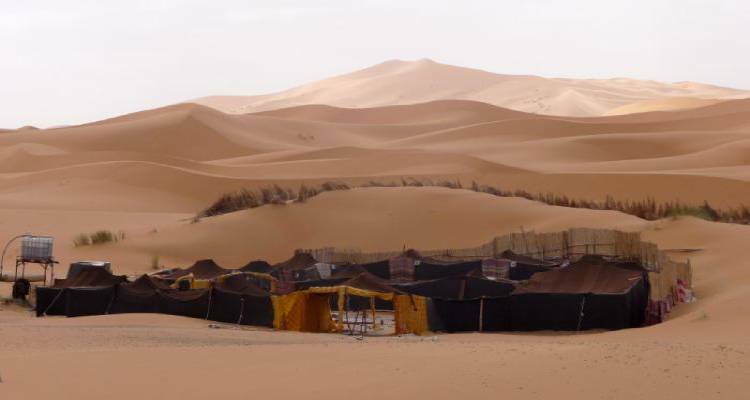 Sliding atop the massive dunes presents an unforgettable and rare experience, and many local hotels in Merzouga and outfitters offer equipment for those who would like to try it.